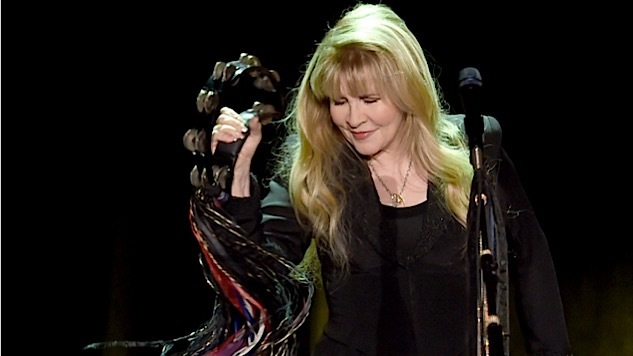 Stevie Nicks Returns With New Song, "Your Hand I Will Never Let It Go"
New ballad appears in forthcoming film, "The Book of Henry." Miller wrote that Book of Henry director Colin Trevorrow asked him to write a song for Naomi Watts to sing in the movie, which tells the story of a single mother who discovers a scheme in her son’s book to rescue a young girl from her abusive stepfather. After suggesting that Stevie Nicks would be an ideal singer for the soundtrack version, he was shocked to learn that Nicks had, in fact, agreed to participate. Watch a lyric video for “Your Hand I Will Never Let It Go” below.